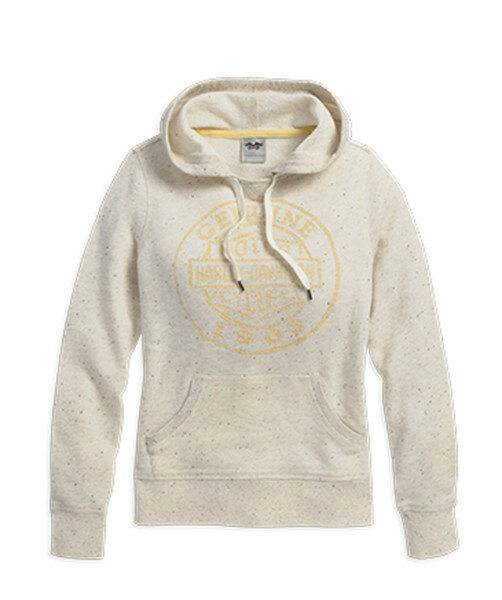 100% cotton French terry with flecks. Pullover with drawstring hood. Rib-knit cuffs, waist, hood trim, and pocket trim. Kangaroo pocket. Distressed printed graphics on front.